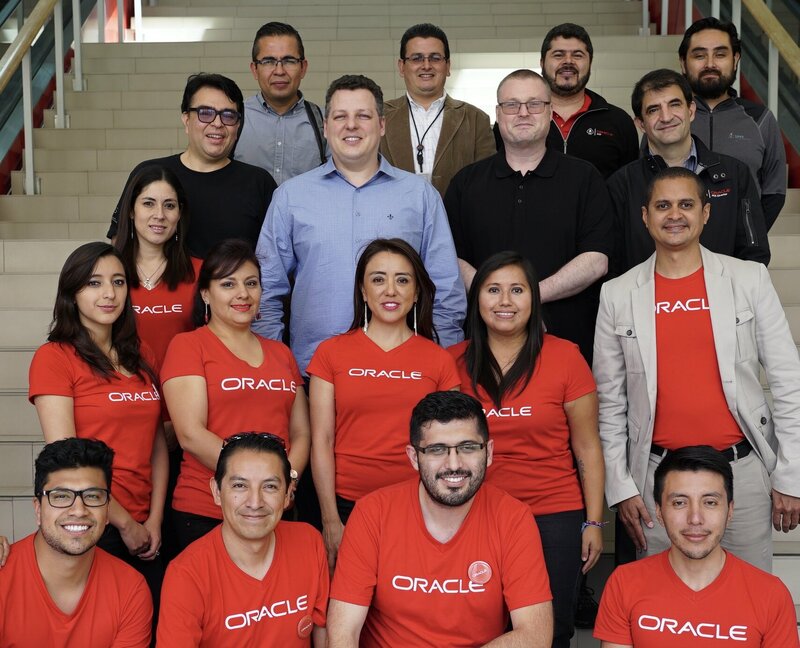 The first event of the Oracle Developer Community Latin America Tour (Northern Leg) was in Quito, Ecuador. A group of us met in the hotel lobby at about 07:30 and went across to the conference venue. The event began with an introduction by Paola Pullas and Marco Galarza. 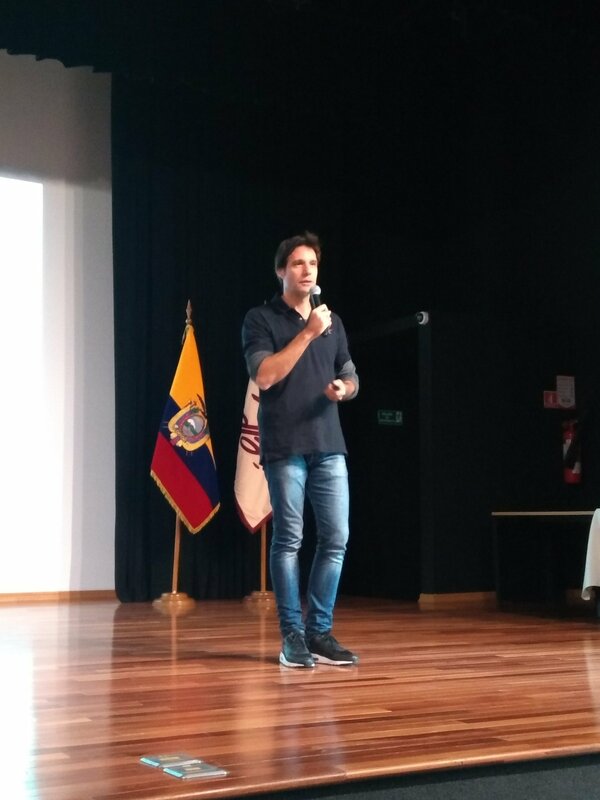 This was followed by Pablo Ciccarello with an introduction to the Oracle Developer Community, the Oracle ACE program and Oracle Developer Champion program. It was a three track event, with most of the speakers presenting in Spanish, so I’m only going to mention the sessions I attended. 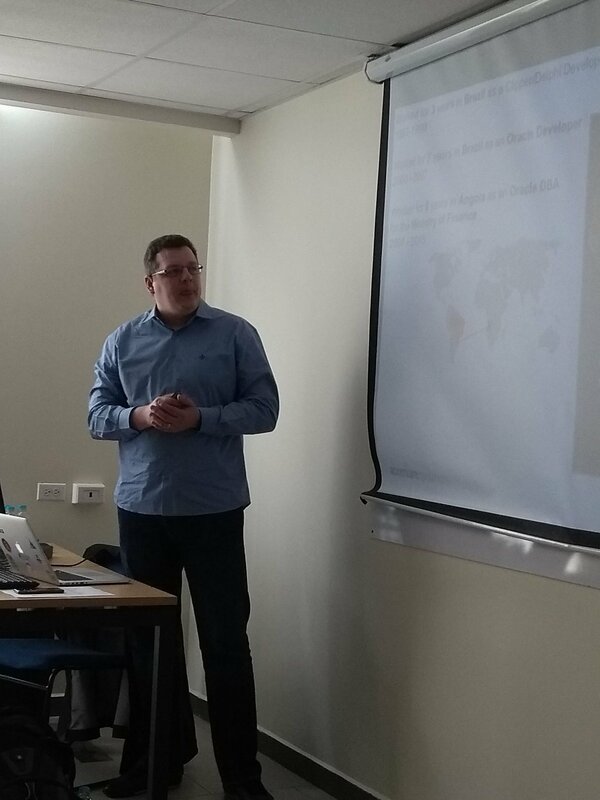 The first technical presentation I attended was Alex Zaballa with “Let’s get started with Oracle Database Cloud Service”. Alex has done loads of migrations from on-prem to Oracle Cloud, so it was really interesting to hear his take on it, especially on the migration approach. 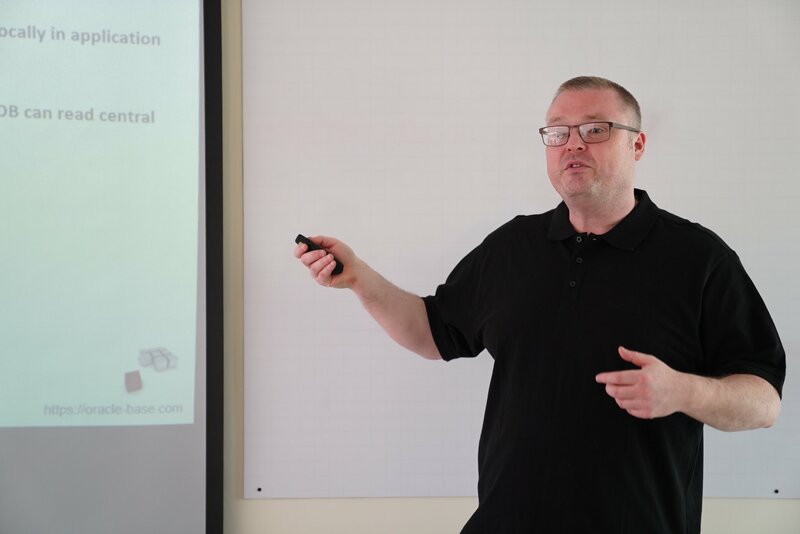 The next session was me with “Multitenant : What’s new in Oracle 12.2”. I feel like the session went well. It seems multitentant is still struggling to get acceptance. I see lots of people holding back and sticking with non-CDB at the moment. I hope this changes, as even lone-PDB is still a great solution. The next block of sessions were all in Spanish, so I had to give them a miss. And before you knew it the event was over! A group of us went out to get some food, then it was back early to the hotel to crash before a travel day tomorrow. Thanks as always to the Oracle ACE program and the Oracle Developer Champion program for making this possible for me. The day started at 03:00, which is a silly time to start the day. I got a taxi to the airport and after a short queue for bag drop, I was waiting for the gate to open. 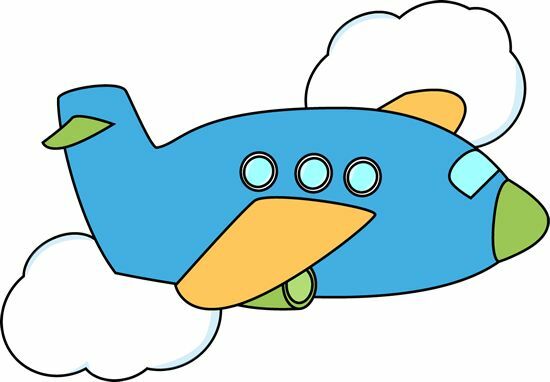 The first flight from Birmingham to Amsterdam went well and we arrived ahead of schedule. After about 90 minutes I was on the plane for the journey from Amsterdam to Quito. I could see there were some free business class seats, so I asked for the price of the upgrade. At 540 euros I decided to upgrade so I could work and sleep during the 11-12 hour flight. The first issue was my laptop charger wouldn’t work with the power from the plane. My phone charger was fine, but not the laptop charger. I was worried maybe the charger was broken, so I switched off the computer to save the battery in case I needed to look for a new charger in Quito. I decided to watch movies and sleep instead. I watched Black Panther and Avengers : Infinity War, both of which were good. I think both were over-hyped, but still enjoyable. My main criticism of the later would be, more Hulk please! Towards the end of the last film I started to get a headache, so I took some paracetamol, put my seat flat and slept for a short while. I woke feeling rather nauseous and that’s where the problems started. For the last few hours of the flight I was being sick every few minutes. By the time the flight was over I was in a bit of a bad way. So much so they brought medical staff on to the plane, who were giving me injections to stop the headache and nausea. I got wheeled off in a wheelchair to the medical centre, where I pretty much slept for the next 3 hours. When I came out Diego and Paola were waiting for me. 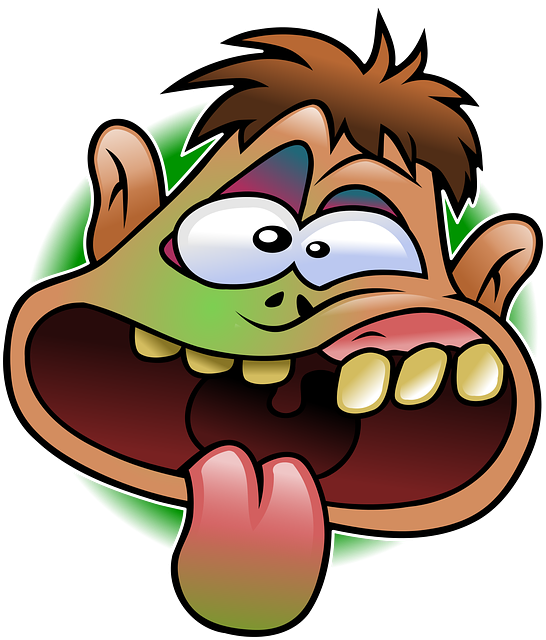 I did tell the medical centre people there was someone waiting for me, but nobody told the information desk, so the taxi driver left. Luckily my saviours were at hand! They drove me to the hotel and I slept a lot! Big thanks to the KLM staff and the Quito medical staff for helping me. Also, many thanks to Diego and Paola for getting me from the airport to the hotel. That would have been a tough journey in a taxi. So it seems like my mission to be sick in every country in the world is still on track. The Ecuador event starts tomorrow (probably today by the time I publish this). Fingers crossed everything will go well. 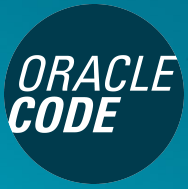 And that was Oracle Code : Paris done! Please let this be the end of the curse!